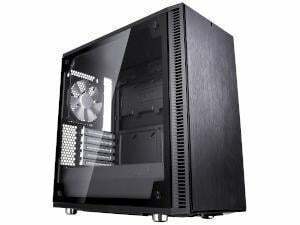 • (Define Mini C TG) Equipped with 5 PCI expansion slots for powerful dual GPU setups. • Easy-to-clean high airflow nylon filters on the front and base with full PSU coverage and front access for convenience. • ncludes optional top filter to prevent dust buildup when ModuVent is removed for additional fan slots.